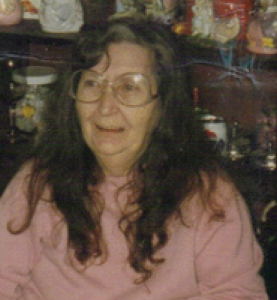 Dorothy Phyllis Blair, 77, 617 East Elm St., Union City, Ohio formerly of Sidney, Ohio died at Wayne Hospital, Greenville, Ohio on Tuesday, December 9, 2008 at 2:13 AM of cardiac arrest. She was born May 7, 1931 in Fletcher, Ohio the daughter of Gerald and Mary Virginia (Wooddell) Flaherty and they are deceaed. Surviving are eight children, Mike Blair and wife Joy of Union City, Ohio; Arlene Shedden of California; Rita McCorkle of Florida; Mary Beth Dickerson of Wapakoneta, Ohio; Howard McCorkle of Union City, Ohio; Clint McCorkle and wife Geneva of Sidney, Ohio; Tina Vaughn of Florida; and Dawn Blair of Florida; several grandchildren and great-grandchildren. One sister and three children are deceased, William McCorkle, Kimberly Brewer and David McCorkle. She was of the Mormon faith. She was a homemaker and had been a nurse&#39;s aide and a motel manager in Richmond, Indiana at one time. Graveside services will be held on Monday, December 15, 2008 at 10:00 AM at Fletcher Cemetery, Fletcher, Ohio. Friends may call at Salm-McGill and Tangeman Funeral Home in Sidney, Ohio on Sunday, December 14, 2008 from 6-8 PM.